KGI analyst Ming-Chi Kuo -- known as the most trusted Apple analyst globally -- is positive on the outlook for Apple MacBook, which is expected to see the best YoY shipments growth among Apple's (US) main product lines (13-16 per cent) in 2018. 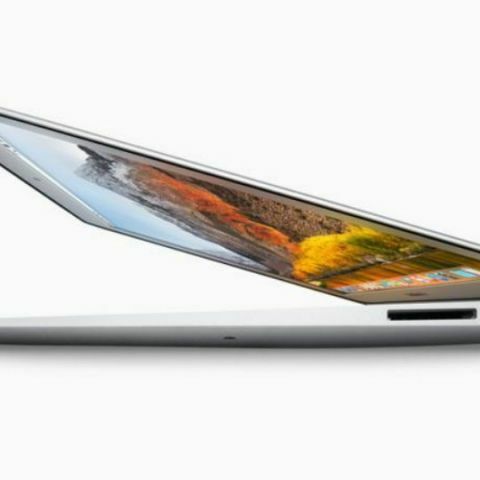 Apples new line of MacBook laptops is likely to show better year-over-year (YoY) growth in unit sales -- at between 13-16 per cent in 2018 -- which will be better than both iPads and iPhones, a new report from Taiwan-based market research firm KGI said. KGI analyst Ming-Chi Kuo -- known as the most trusted Apple analyst globally -- is positive on the outlook for Apple MacBook, which is expected to see the best YoY shipments growth among Apple's (US) main product lines (13-16 per cent) in 2018.
iPhone shipments are expected to grow just 4-6 per cent and iPad shipments 7-10 per cent. The analyst predicted Mac laptop unit shipments will rise between 13-16 per cent in 2018, compared to about 7-10 per cent for iPad and a maximum of 6 per cent for iPhone, 9to5mac.com reported on Friday. He also reiterated his prediction of a new more-affordable MacBook Air in the pipeline for release this year.